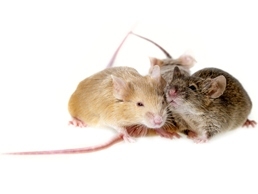 Domesticated mice can make great pets for the family. However, wild mice are a different story. Wild mice living in your home can cause hundreds of dollars’ of damage in infrastructure and the potential to spread harmful diseases to the members of your household. It is important to get them out as soon as you suspect they are in your home. The longer mice live in your home, the harder it will be to get them out. Mice are very aware of their surroundings so any new objects, like a trap, will scare them off. DIY traps are difficult to work because you have to bait them and place them properly. And even if your traps do work, you’ll still need to hire a professional to remove the carcasses, as they can still transmit diseases. That’s why you should always enlist the help of professionals like the ones at Critter Control® Miami to help keep your home and family safe. At Critter Control® Miami, we’ve had years of experience working with mice. Therefore, we have the knowledge and the tools to properly trap and remove mice from your home without risking you or your family’s health. We’ll even clean up after any messes they made, and make sure they never come back by sealing all their entry points. For your free consultation, call us today at 305-258-3587.